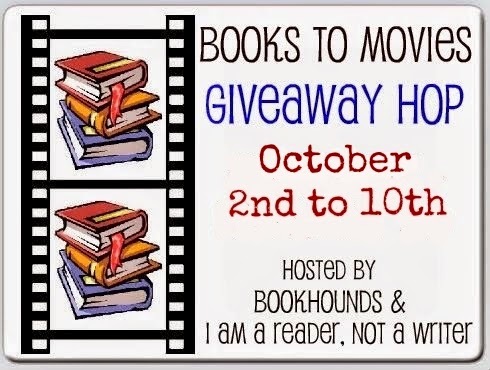 BookHounds: BOOKS TO MOVIES GIVEAWAY HOP! Sign ups now open! BOOKS TO MOVIES GIVEAWAY HOP! Sign ups now open! It is your responsibility to check the linky on October 2nd to be sure you are still on the linky and that your link is accurate. We ask that once your giveaway is live AND accepting entries that you send us a direct link so we can update the linky. To sign up to host a giveaway add your blog to the linky. Please include your shipping info in parenthesis following your blog name (US) (US/Can) (INT) – if you don’t include shipping info we will assume you are shipping to the US only.